Hello fellow makers! Miranda here from Tinsel + Wheat! 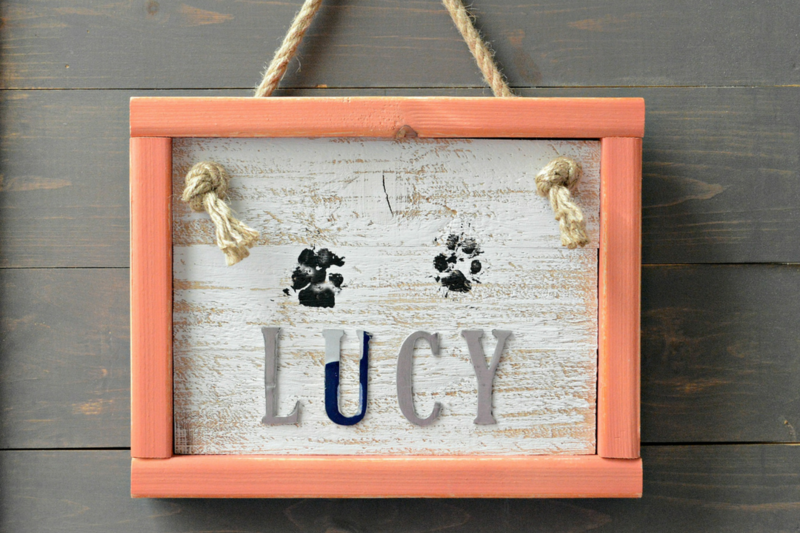 Today I’m excited to introduce you to little Lucy and walk you through the steps to create your own keepsake paw print home decor sign! Meet Lucy! 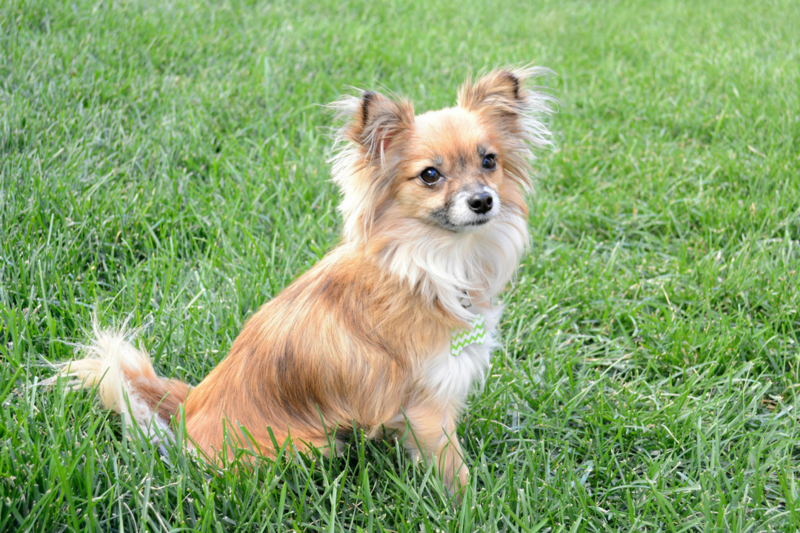 A teeny tiny adorable chihuahua mix adopted by my sister from the Texas Chihuahua Rescue in 2015. 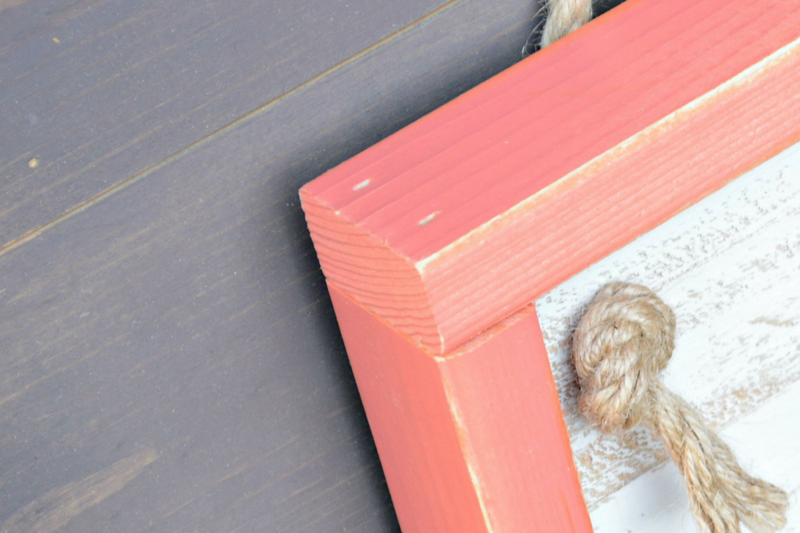 She is the cutest little fur baby and it was so fun to feature her in this project. Her little paw print is barely an inch in size! SO cute and her personality is just as sweet!! A rescue pet! Or really any pet with paws! Or really any pet with feet – I could see a cute little chicken foot print featured here! 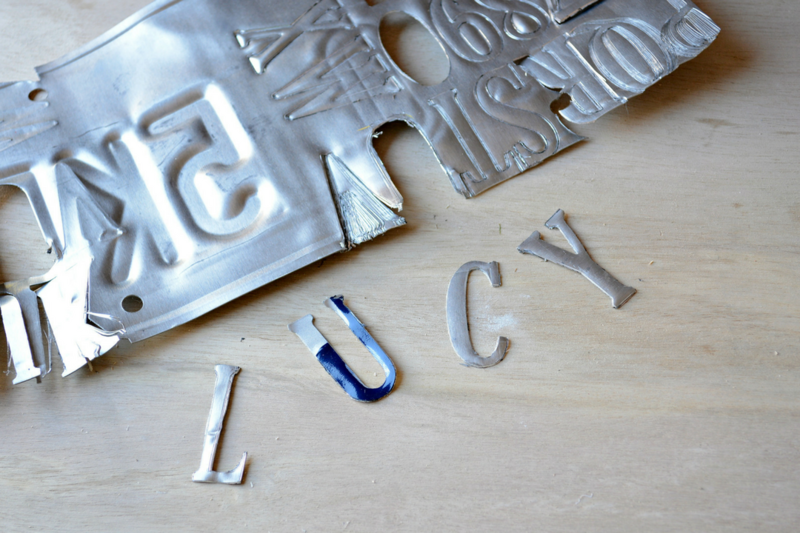 Cut your desired letters from an old license plate or crafting tin using your Say It Like You Mean It Steel Rule Dies and your Platinum machine. 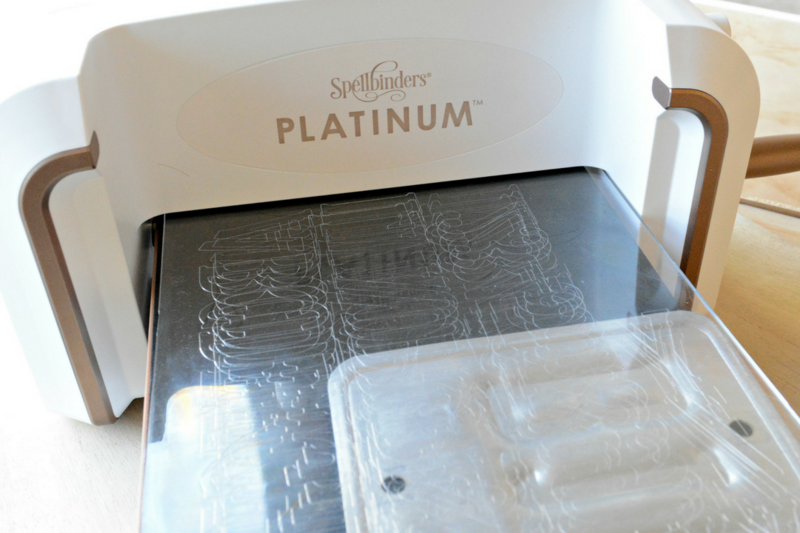 Your die sandwich will be clear acrylic + die + license plate + clear acrylic plate. 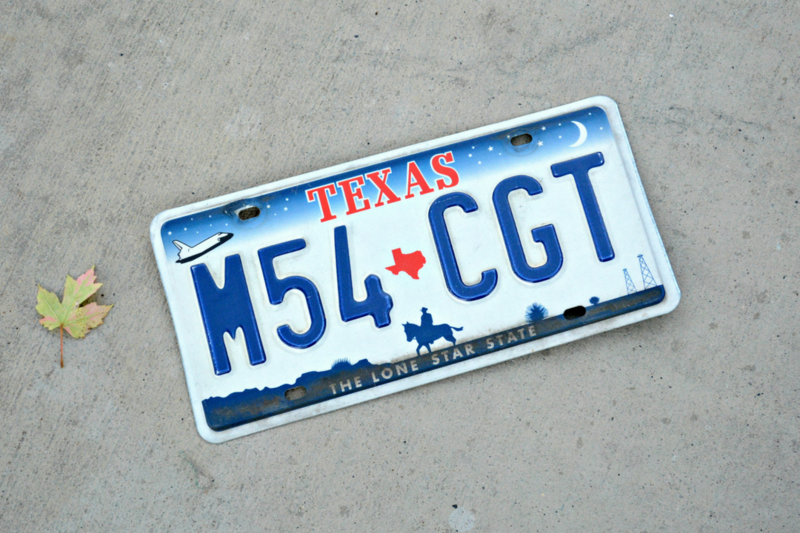 Because the license plate metal is so thick you will need to roll this through, back and forth many times. I rolled mine through back and forth about 12 times. Some of the letters popped right out with a little manipulation. I assisted the process a couple times with scissors, just to free the letters from the plates. I decided to showcase the “u” with the front side of the license plate and all other letters with the reverse side. Once your letters are cut you will be able to see how long your sign will need to be. 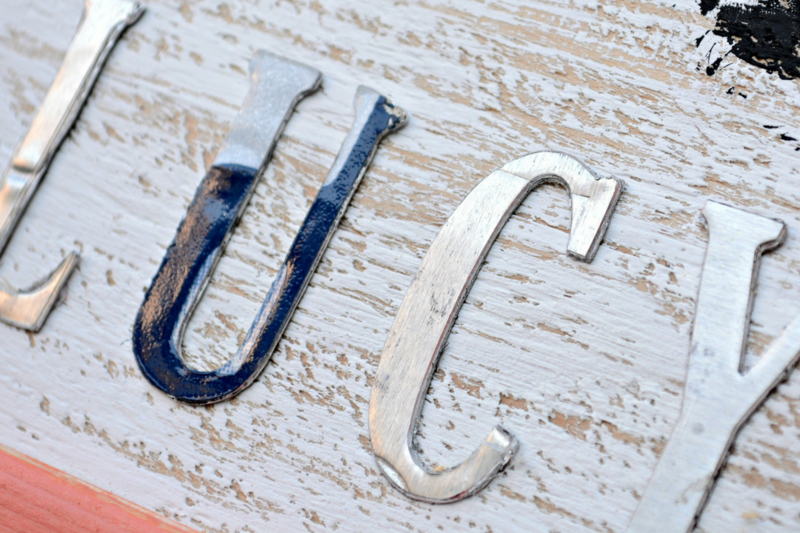 Using the cut list above – go ahead and cut your sign pieces. 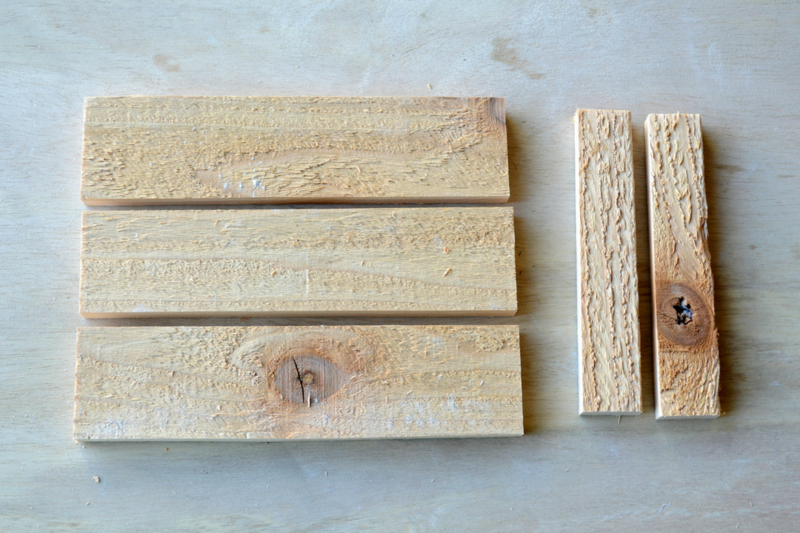 Glue the cedar fence post pieces together first. I reinforced the glue with brad nails. Once the glue had dried a bit I sanded the face of the sign. 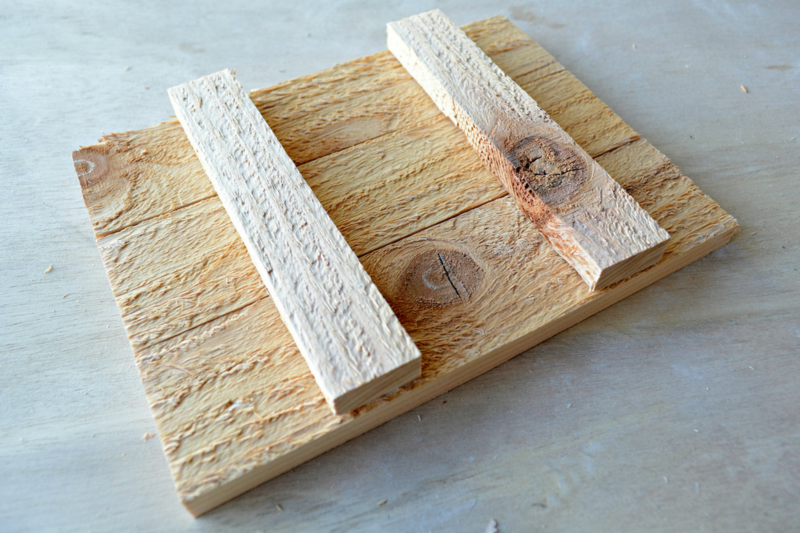 This will help your pets paw print really show well on the wood. In hind sight, I would have sanded this perfectly smooth. 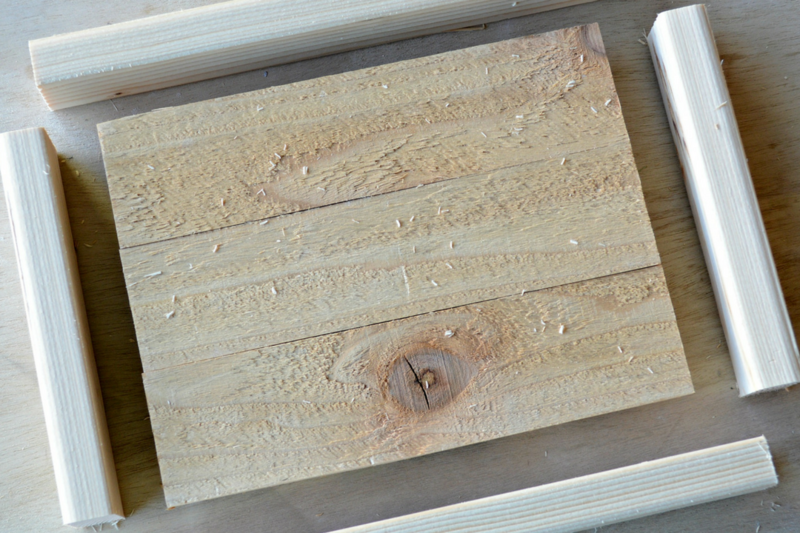 Lightly brush white paint onto the cedar post sign. Then paint your frame pieces. 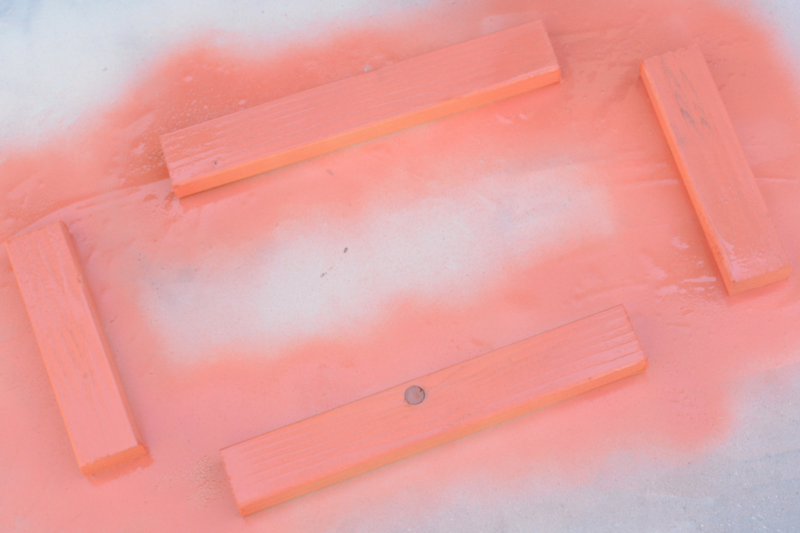 I used a pretty coral pink spray paint. Let all pieces dry. I used hot glue to adhere my letters to the sign face. So far the sign is holding up great! You could use industrial glue (like E-6000) as well. This is the fun part – ha! You’ll likely need a helper, I sure did! While my sister held little Lucy I painted her little paws with black acrylic paint, stamped them on to the sign face, and then rinsed her little feet. Lucy’s paws are so tiny!! Her prints aren’t perfect but her little feet are and her Mama Human loved how the prints turned out. All that matters! 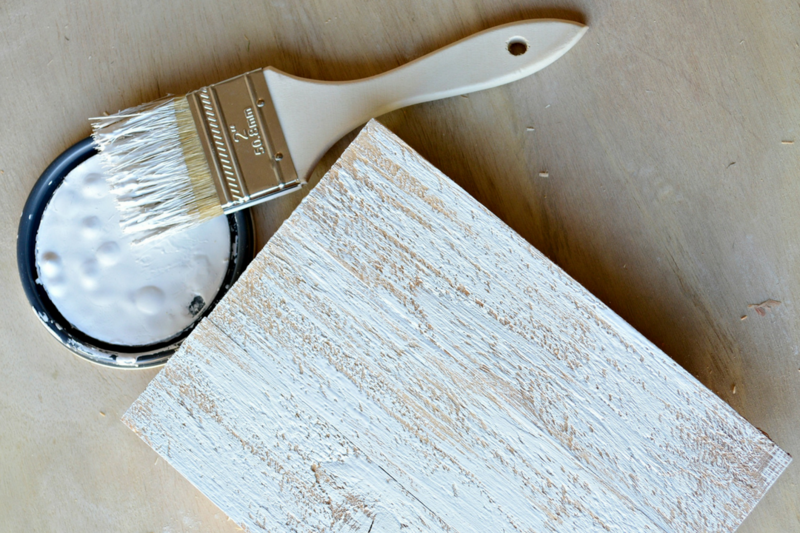 You’ll want to assemble your sign with wood glue and brad nails if possible. 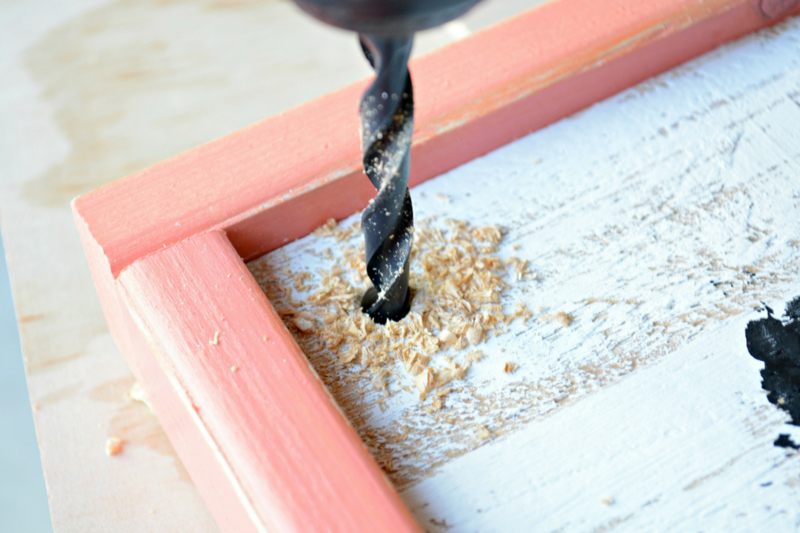 Use 3/4″ drill bit to drill one hole in each upper corner. String your rope through the holes and tie ends in a knot. This turned out so cute! My sister has a forever memory of little Lucy’s paws that she can treasure! These little signs would make the perfect home decor piece or gift for any paw pet loving person. We always love to see your versions of these projects so make sure to tag us using #neverstopmaking!